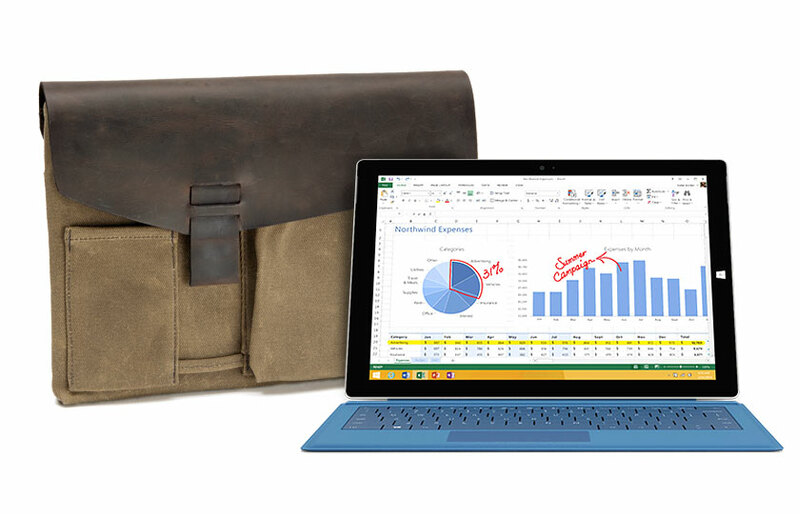 WaterField Designs announces three new custom-sized Outback Slip Cases for the Google Nexus 9, the Kindle® Voyage and the Microsoft Surface Pro 3. The waxed canvas and leather protective Outback Slip combines waxed cotton canvas and full-grain leather with a stiff plastic screen-protecting insert for a sporty, un-pretentious look. 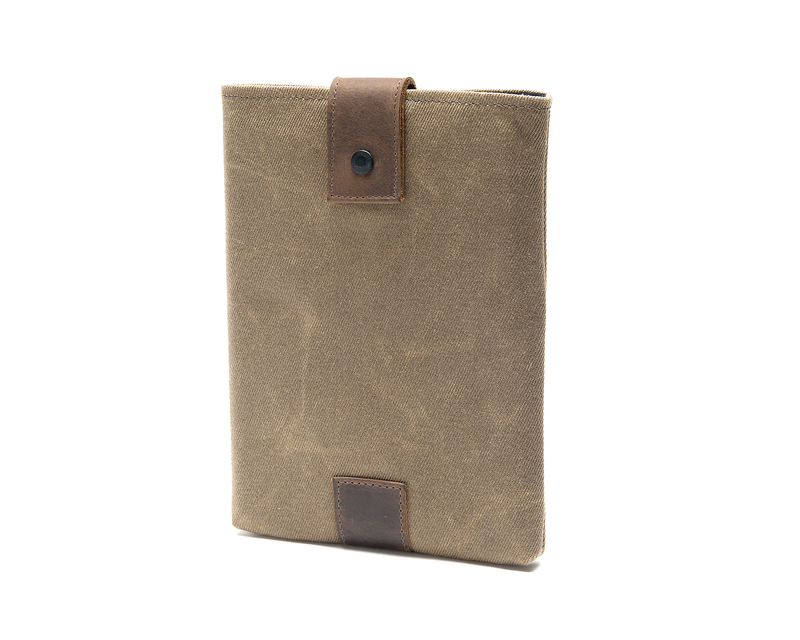 We’ve received positive feedback on the Outback Slip from our Apple users, so we decided to extend the line for our Google, Kindle and Microsoft users needing cases too. San Francisco’s WaterField Designs announces the Outback Slip Case in new custom-sizes for the Google Nexus 9 (available in stores starting today), the Kindle® Voyage and the Microsoft Surface Pro 3. With so many tablets to choose from, finding custom-fitted tablet case protection for individual models can pose challenging for consumers. 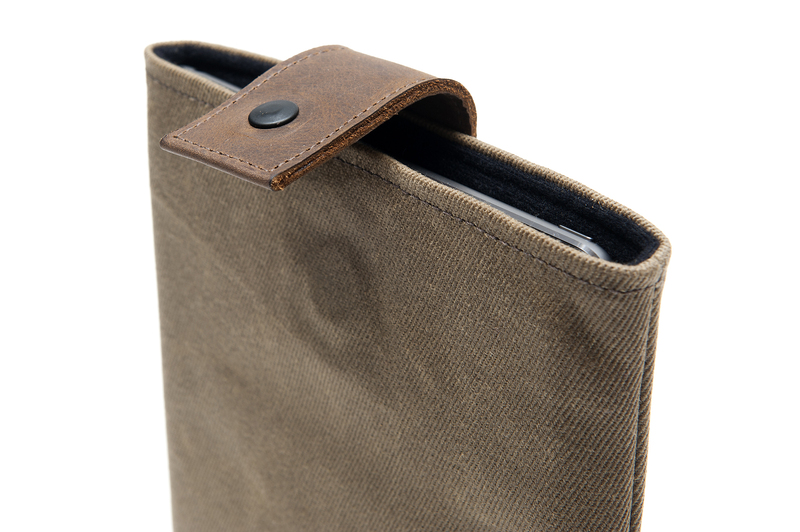 Already available for the iPad Air 3 and iPad mini2, WaterField’s waxed canvas and premium leather Outback Slip Case now solves that problem for owners of three more of the newest and hottest tablets on the market. The Outback Slip combines waxed cotton canvas and full-grain leather with a stiff plastic screen-protecting insert for a sporty, un-pretentious look. The waxed-canvas exterior is rugged in both looks and wear, and the premium leather accents gain character over time. A magnetically-secured leather strap keeps tablets in place, and a cleverly-positioned lower “grab tab” helps users easily remove the device from the handsome case. 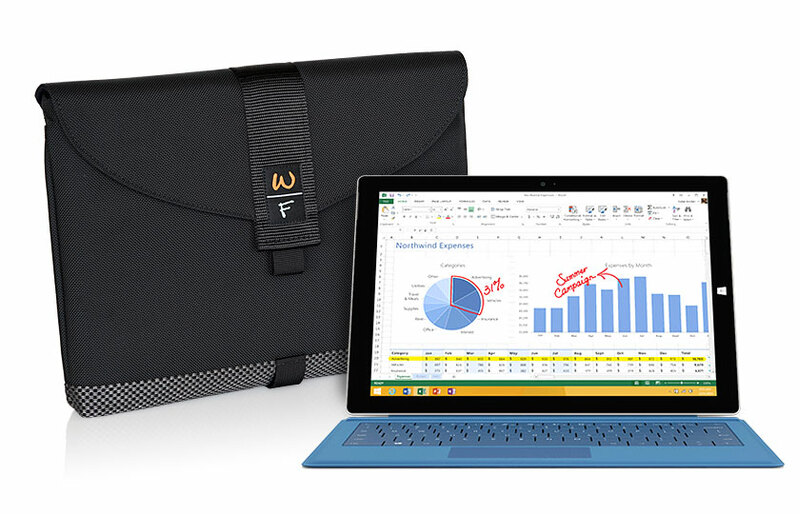 Customized tablet sleeve sizes ensure optimal device protection, and that customized protection is now available for the newest Kindle, Google and Microsoft tablets. For selected models, WaterField Designs offers additional custom-fitted tablet cases—the Ultimate SleeveCase, Outback Sleeve, Tablet Slip Case, Tablet Suede Jacket, Outback Solo, Tablet Travel Case and the Tablet Travel Express, each handcrafted entirely in San Francisco. 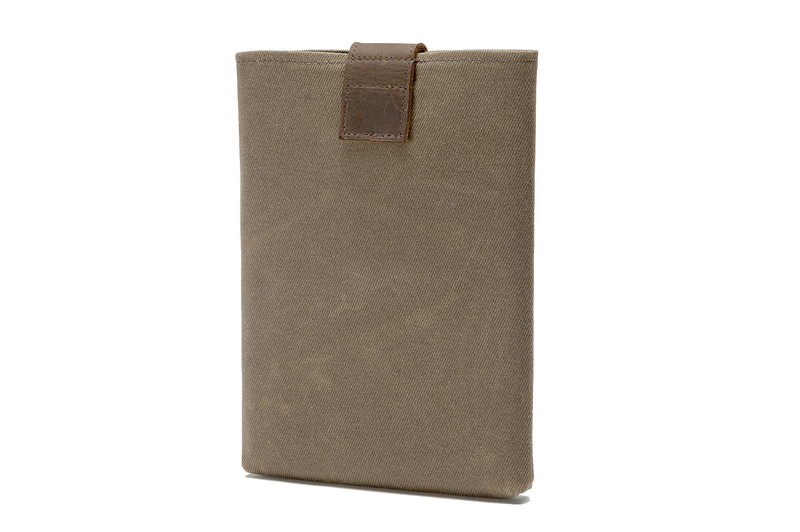 Color and Materials: Tan, waxed canvas with full-grain, vegetable-tanned, grizzly leather trim. Sizes: #43—Google Nexus 9. #2—Kindle Voyage. 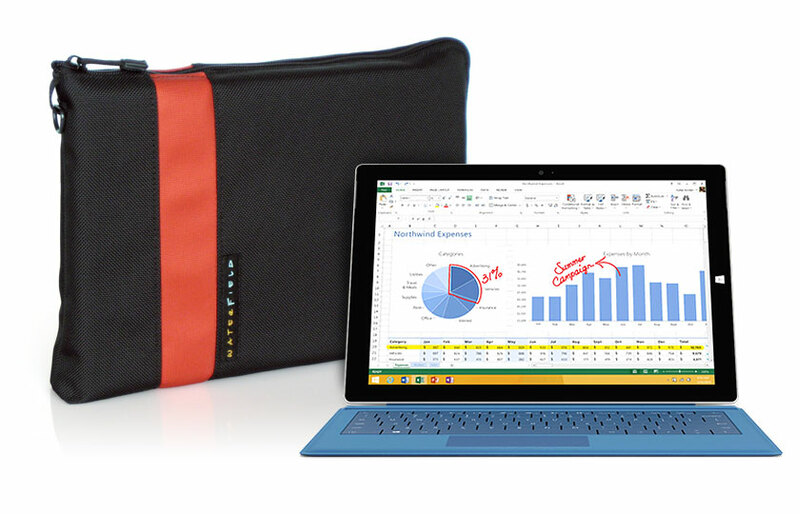 #17—Microsoft Surface Pro 3 with Type Cover or Power Cover. Shipping begins November 10, 2013. 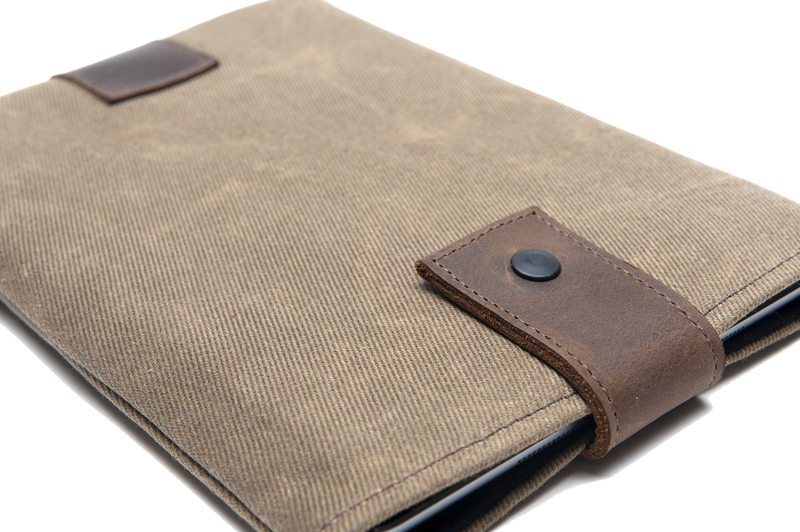 See website for currently available iPad Outback Slip Case and additional Tablet Case size and pricing details. WaterField Designs, Outback Slip, Ultimate SleeveCase, Outback Sleeve, Suede Jacket, CitySlicker and Travel Express, Outback Solo are trademarks of WaterField Designs. Other company/product names may be trademarks of their respective owners.